Unless you’re wealthy enough to pay cash, buying a home includes obtaining a mortgage. Before lenders will give you one, however, they’ll examine your financial history and ability to pay. If you want to get the best terms such as the lowest interest rate for your mortgage, you’ll need to prepare your finances before home buying by using the following strategies. Any financial changes you make will take a while to reach the agencies that report to mortgage lenders. So don’t wait until the day you apply for the loan to make them or they won’t affect anything. Instead, start at least six months in advance or preferably a year or more. The sooner you start, the more likely you’ll see positive effects. The first is your credit score, which reports your financial habits as a score that ranges from 300 to 850. Numbers above 800 are exceptional and get you the lowest interest rates and the best mortgage terms. Numbers below 600 are considered poor and may prevent you from getting any kind of loan at all, although many lenders have programs to cover such situations. Your credit score is determined primarily by your payment history, the amount you owe, the types of credit you have such as charge cards and bank loans, and other lines of credit. Information about your money habits is detailed in the second piece of money information, your credit report. This document details your financial activity and includes your personal information such as current and former addresses, loan payment history, account balances, whether any accounts are in default, civil judgments, bankruptcies, or liens. You can determine your credit score for free and without obligation at Credit Karma. As for your credit report, you are entitled to one free copy per year from each of the major credit-reporting agencies: Equifax, Experian, and TransUnion. You can get them for free and without obligation at AnnualCreditReport.com. It’s a good idea to look at one report from one agency every four months so you get an ongoing view of your credit status. Scan your credit report for any mistakes such as incorrect addresses, account numbers, or balances. Report such errors immediately to the reporting agency and the merchant that manages the account. By law, they need to correct any misinformation but it may take them several weeks to do so. Unfortunately, bankruptcies, foreclosures, and liens represent black marks on your credit that may prevent lenders from giving you a mortgage loan. You cannot do anything about them but they will naturally fall off your report after about seven years. You may want to come up with good reasons as to why they are there if a lender asks you about them. The first step to prepare your finances before home buying is to improve your credit score. The easy way to improve your credit score is to reduce the money you owe by paying down your debts. Examine your report for any accounts with balances that are low enough that you can pay them off completely over time. Work on closing those out first. Even a partial decrease in what you owe may positively affect your credit score. If you have fewer financial obligations elsewhere, then lenders are more likely to allow you the additional obligation of a mortgage. For those obligations that remain, pay them off on time. This tells lenders that you are financially responsible and will treat your mortgage with respect by making the payment on time. 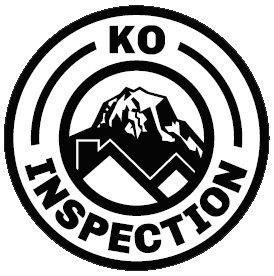 KO Inspection serves Seattle and Western Washington with home inspection services. Contact us if you are buying or selling a home and need an inspection or related service.